Prize winners from all National EUSTORY History Competitions get the chance to participate in History Camps where they come face to face with varied interpretations of history. The critical confrontation with controversial aspects of European history is the basis of these EUSTORY Youth Encounters. Dominant groups and minorities, winners and losers, victims and perpetrators - each tell a different history and each have the right to their own story. Working with peers, these young Europeans learn to respect this diversity and to see themselves through the eyes of others. The result is openness, understanding and tolerance in relationship with others and foreigners. Themes discussed include "Conflicts - how do they arise and how can they be overcome? ", "Foreign - Familiar. Relating with the known and unknown" or "Europe on the Move - History and Future of Borders and Identity". Here you will find an overview of all EUSTORY Youth and Alumni Activities (pdf file). The first EUSTORY Next Generation Summit came to an end on 9 October 2017 in Berlin with standing ovations for the impressive work of the 100 young European participants. United or Divided in Diversity? 24 young people from 16 nations gathered in Tbilisi, Georgia, to discuss and reflect over the concepts of nationality, identity and Europe. Read more … United or Divided in Diversity? 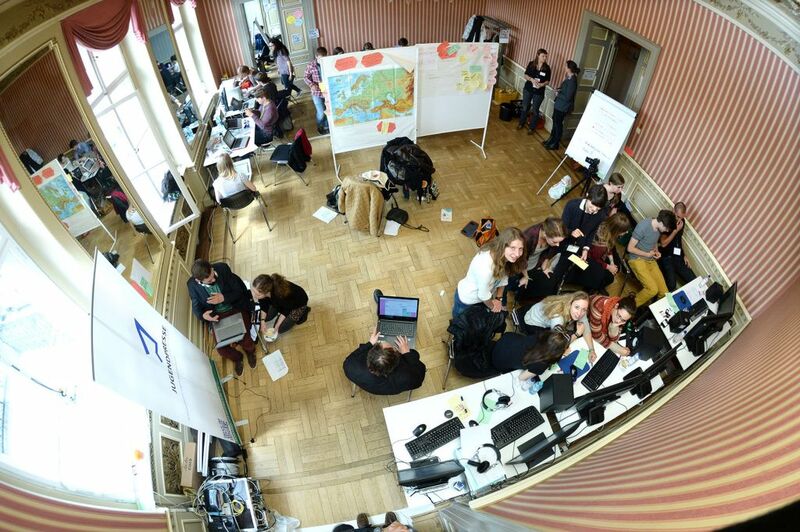 20 young people discussed freedom of the press and the media´s role as supporter or opponent of social movement in the states of the Visegrád Group. From 6 - 12 August 2015, 20 young Europeans met at the History Camp in Berlin to exchange and deepen their national research they did from April to September 2015 about the fate of War Children in Europe. On the occasion of the centenary of World War One, about 90 EUSTORY alumni were among the 400 young people from more than 40 countries in Europe and North Africa who attended the event. The Alumni Seminar took place in Ronda, Spain. During this week, the participants analysed the nature of stereotypes in European societies. 15 young Europeans met to explore which democratic values matter in European reality and for themselves as citizens.